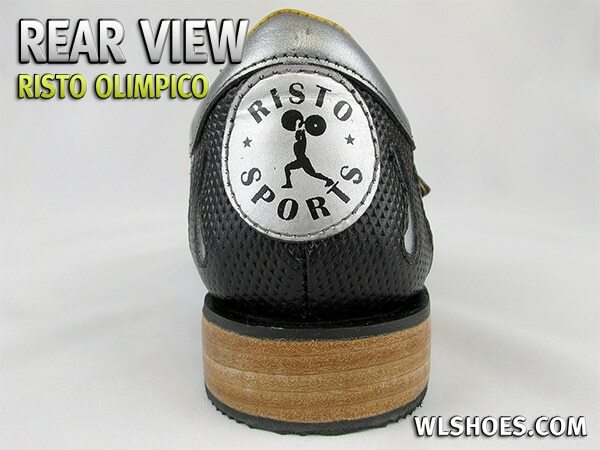 Risto Sports is a small boutique company that has been making Olympic weightlifting shoes and various accessories since 2008. In that time Risto has weathered the typical challenges most new startups face and emerged a solid contender in the weightlifting shoe market. Despite a few production problems that resulted in relocating their manufacturing operations, Risto has held true to their values and continue to make quality shoes in a socially and environmentally responsible manner. 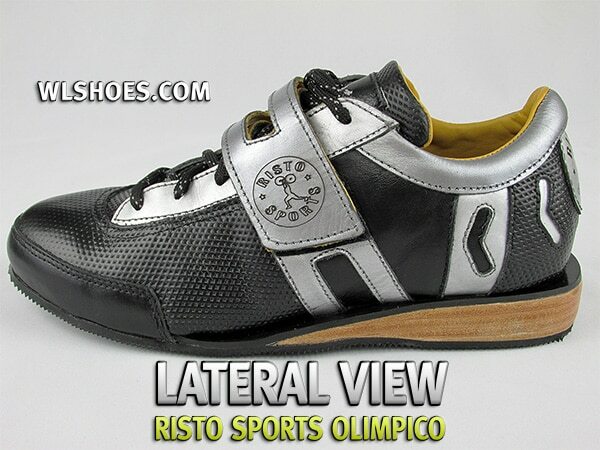 With growing pains behind them it appears they have finally hit their stride with their newest model of lifting shoe, the Risto Olimpico. These are made by hand in Ecuador using local materials and workers that are fairly treated (they even have health insurance!). This may mean little to some of you but I find it nice to know that the company isn’t using near-slave labor to produce their products. This third update to the Risto design shows a maturity of the brand as a whole. In lieu of just revising their previous model, Risto opted for an entirely new design that takes some of the best features from other models and combines them with experienced refinements. The Olimpico is an entirely new design for Risto, so it doesn’t have much in common with any of the previous models. The styling is still sleek and fairly minimal and the color options are similar; black with silver accents, white with black accents and, of course, Risto’s famous pink shoe (Risto was the first company to make a pink weightlifting shoe). The one component that has remained is the quality leather, something Risto is well known for, and the Olimpico displays some of the best leatherwork I’ve seen yet. Leather quality would be important for this model since the entire shoe is constructed of it; the only thing that isn’t leather is the sole and the shoe strings! The leather used in the upper is surprisingly supple and features a stippled design that gives a nice texture to the shoe. The toe cap at the front of the shoe is made from a single strip of leather and reinforces the toe box. Since the material is double thickness in this area, it makes the shoe feel tighter at first. But just like a good pair of real leather dress shoes, these stretch over time and actually produce a wider than average toe box. Unfortunately the upper does not have a ventilation system built in to allow the foot to breathe. Considering this is an all leather shoe I’m surprised it doesn’t have at least pinhole vents. I see this as a minor design flaw that Risto should look into correcting. Not a deal breaker by any means, but your feet do get pretty hot in these. The three test and evaluation pairs I received all had high quality laces, although a bit long for my taste, it was easily remedied by double-knotting them. The single strap is again made of leather and displays an etched circular “Risto Sports” logo that gives the shoe a bit of flair without looking gaudy. The strap is positioned nicely on the foot; not as high as to limit ankle mobility but not too low to allow foot slippage. The strap is an area where I can see another possible issue though. The design of it features a cut-out in the center of the strap and about 1.5 inches of Velcro at the end of the strap. Over time, the leather strap began to stretch on me and less and less velcro actually made contact. I’ve made a recommendation to Risto that they should either make the strap thicker so it will not stretch, or do away with the center cut out and use Velcro across the entire strap. They’ve been pretty good about implementing customer feedback so we’ll see if these changes show up in future runs. While we’re discussing laces and straps, Risto has removed the “laces loop” that you find commonly located on the tongue of most shoes. This is there to prevent the tongue of the shoe from sliding to the side of your ankle during a workout. When I contacted Risto about this they informed me that it was a decision they made to lengthen the life of the leather tongue. I suppose a small nuisance is worth the shoes lasting longer, although I would like to see Risto come up with a solution for this as well. One huge improvement Risto has made is to place the eyelets on the INSIDE of the shoe. This prevents them from being pulled out of place when tightening the strings. They have also reinforced the strap anchors with extra stitching to prevent them from tearing loose. So those of you that like to strap your shoes on tight enough to make your toenails bleed have less to worry about, although I still recommend taking it easy – no leather is indestructible. The heel on the new Ristos is still made of solid wood but now features a set .88” effective heel height for all sizes. This was determined to be an optimal height for both weightlifting and CrossFit. I personally did not notice any difference one way or another and the overall feel was “lifted” but not clunky. The cool thing is that if you find you do need a taller heel lift, you can always take these to a cobbler and have them add to the heel since it is made of wood. You can’t do that to heels constructed of rubber or TPU. The sole of the shoe is made of natural rubber and produced a solid grip on all surfaces. I did note that my two pair of white Olimpicos have different color soles; one being a light tan color and the other black. Risto states on their site that they use naturally sourced rubber and the color can vary for the sole. Not an issue for me but just a heads-up that the sole could be either color on your pair. Finally, the interior of the shoe is another area where the quality really shines. The full interior of the shoe is a soft leather, much like what you would find on an expensive dress shoe. The feel is very close to that of lamb skin and I found it broke-in rather quickly. The insert is your standard foam with a leather covering over top. After 3-4 workouts my foot had molded nicely into the insert leaving impressions for each toe and one for my heel. Under the insert you will find a solid leather foot bed that provides medium arch support and a medium heel cup. I tested these shoes for well over a month before starting my review and I can say that the Olimpico really surprised me with how well they performed. For starters, the shoes are very light and despite having a solid wood heel they only weigh 15.5 ounces (439 grams) per shoe. That makes these and the Adidas Power Perfect 2 the lightest “true” weightlifting shoes on the market. Another important aspect was the flexibility of the toe box. The Olimpico has one of the more flexible forefoot designs I’ve worn, requiring less pressure than comparable Adidas and Nike models to achieve a full bend in the shoe. Throughout my wearing these shoes, I did not note any issues in the way of durability. Being of solid leather construction, I would expect these to last for years. The sole, being constructed of natural rubber, will likely wear down over time but that is a relatively cheap and easy fix for any cobbler. Keep in mind these shoes are designed for Olympic lifting; they are not intended to be worn for dynamic training or movements such as box jumps, jumping rope or burpees. Stick to your trainers or running shoes for those types of workouts and slip into the Olimpico when it is time to hoist some heavy weight. The sizing of Risto shoes has always been a little weird. First they were using South American sizing that was confusingly similar to EU sizes and now they are using American sizing that skips sizes. Instead of the traditional size 9, 9.5, 10, 10.5, 11 you will find 9 – 9.5, 10 – 10.5 and 11. Because of this I recommend you measure your foot and use the sizing chart they provide to select your correct size. I typically wear a size 9; that’s the size of my Romaleos, Adipower and PP2s. In the Olimpico, a size 8.5 fits without any shifting of my foot inside the shoe. If your sizing is correct, the Olimpico should fit a little snug at first. They will stretch after a few workouts since they are made entirely of leather. I have low arches and the shoe fits me just fine. I’ve worn them in the gym for up to 3 hours and had no ache in my arch. The toebox is medium width, measuring narrower at the sole than it does at the actual upper. The leather is reinforced here so they do feel a bit squished at first, but as mentioned, they tend to break in quickly. Aside from the sizing nuance and the minor improvements I think Risto could make, this is a very solid shoe. You basically get high performance features and design, socially responsible manufacturing, and a price that comes in below $140. This makes the Olimpico one of the best values on the market right now. 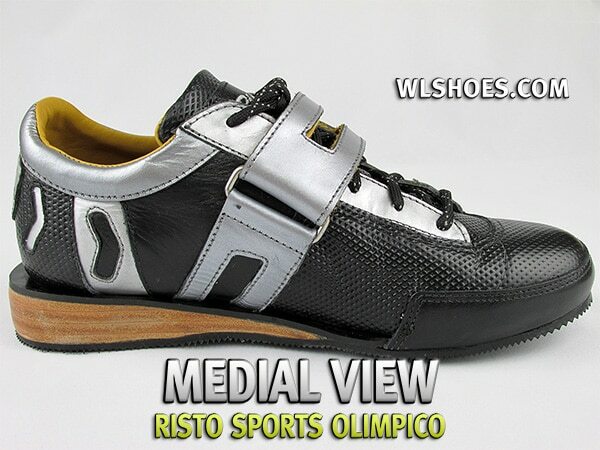 Risto shoes are only available directly through Risto Sports. They do offer International shipping as well as custom shoes. ¹ Shoe weight is calculated using a men's size 9 US or equivalent shoe. ² Shoe width is measured at the widest point of the toe box and taken from a men's size 9 US or equivalent shoe. Will these work with orthotics? I’m thinking of buying a pair of lifting shoes but I normally wear orthotic inserts. Thanks for the site! These work great with my orthotics. I can pull out the sole and put in my orthotics. They were a little snug at first, and they stretched after like a week. They feel really awesome now. I love the leather on these too. They look even nicer in person. Thanks Happpy! That’s good info to know. Ordered my shoes in size 11.5. They didn’t have that size in the color I wanted, they just made them for me. I took 4 weeks, but when I get them I started using them right away. My lifts have increased a lot. I have never heard of a company that would make the shoes you want for you….great shoes and fit like gloves. I bought my pair of pink Olympicos about 6 months ago. They felt amazing the first time I put them on and they’re even more comfortable now that they’re broken in. I lift 6 days a week in them and I can wear them for hours without discomfort. They started a little on the snug side and warmed up a lot but after the first month of use both of those problems have gone away. This is my second pair of shoes (the first were a different brand and much more expensive) and I can’t imagine ever going back! Next time ill definitely splurge and get the custom colors! Just ordered a 7.5-8 size (my foot is 10.1 inches long) will post a comment about it when i get the shoe. to tea cake— if you are reading this, I’d like to hear your follow up on sizing. My foot is 25.4cm or 10 inches exactly, which according to their sizing chart is a US7 (smaller than I wear in an everyday sneaker. You ordered the 7-5/8. Wondering how they feel for you. How long did you guys wait for the delivery? If you had to choose between a pair of Adipowers and Olimpico’s price no object and the custom colors of the Olimpicos not a factor which one would you choose ? It depends on a few different factors – what type of lifting you’re doing being a big one. We’re not here to tell you what shoe to buy, we’re here to tell you what each shoe offers so you can make a decision. Little insight from someone who got this and the romaleos 2 for a while before i had to return the olimpico for a dif size… Olimpico is def the better shoe. When i tried on the romaleo 2, i felt that it was a little wide for someone my size (im a small guy) and it felt heavy as f (mind you im a GI and i wear steel toe boots everyday to work). The olimpico’s strap was a little long but its nothing that a cobler couldnt fix. I got this as a gift and just sent it in for a replacement.I cant wait to get my shoe from the mail! Hi. Thanks to all for the great information posted here. 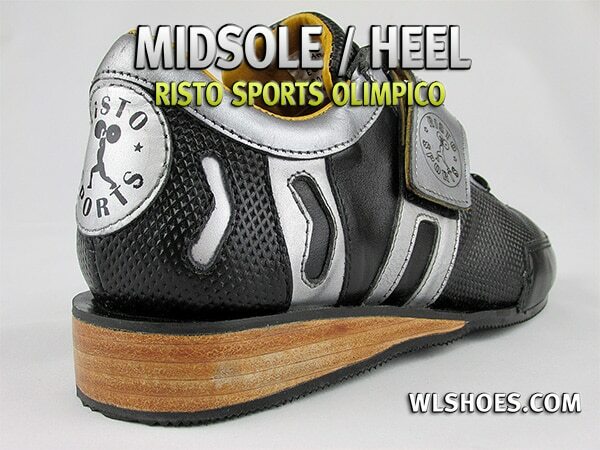 Does anyone know the heel size on the Risto Olimpico? Would they be approved of by Mark Rippetoe? It is set at 0.75″ – standard heel height for Oly shoes. I believe the suggestion by Ripptoe is a 0.6″ heel, which is fairly asinine because the heel height should ideally be proportional to the length of your tibia. So a taller person, with longer legs, would need a higher heel to achieve the proper angles when squatting. Saying, “X inch height is ideal for everyone” just doesn’t make sense. Thanks Rob. I am 5ft 4in. Is there a different pair of Ristos which might be better suited for someone my height or are these ok? They only make the Olimpico. I got these shoes yesterday and I tried them on today to do some clean and push jerks. The shoe felt nice and stable, no heel slip whatsoever. The rubber on the bottom really grips the floor (could be a good thing for those who like that) i’ve tried on the romaleos and this shoe grips alot better than the romales. The web owner of this site said that the heel height is .88. Ive tried on the nike romaloes .75 and didnt see a difference. If you want to get the best sizing I suggest you follow the sizing chart on risto olimpico (this is on the website) otherwise it will be too loose or too tight. I got a size 7 because my feet measured at 10 inches. I sent in mine for an exchange and I got the shoe back in 2 weeks. Just fyi for those who want the shoe right away. The laces are very strong and the eyelets can whitstand alot of pulling/tightening so for those who tie their shoes really tight, this shoe will not fall apart later on if you like doing that sh-t. The straps are too long though and it barely touches the velcro. I’m going to a cobler later on and get it shortened or maybe put some velcro on the whole strap. Overall this shoe is better than the Romaleos, thats something I can say since i’ve tried both. These are the lightest most flexible lifting shoes I’ve ever worn! I can’t believe a leather shoe with a wood heel is lighter than the vinyl Nike, reebok, and Adidas shoes. They feel so great when I pull. I had romoleos’s and I’ve tested out my friends’ Adidas s, reeboks, and inov8s. These are ridiculously better in person. I’d buy these before Risto figures out they can charge a lot more for these. Good to hear. If Risto irons out a few of the issues I have with the shoe I feel they will be one of the best buys on the market right now. Question about the effective heel height – your review indicates that the heel is solid wood with a set .88” effective heel height for all sizes. 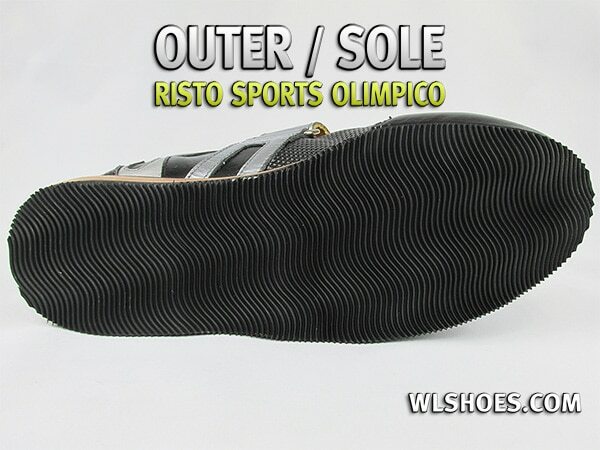 Before reading your review I had emailed Risto Sports and they indicated that the effective heel height is about .75″. I like the shoe but would like a shoe with a .75″ heel so I am not trying to criticize and was wondering if during your review of the shoe you measured the effective height to find it was .88″ or if you went with some of Risto specs? The 0.88″ measurements were Risto specs, which they may have changed by now. Previously their shoes had proportional heels but that was even more confusing for everyone. They’ve been working on refining the shoe and they’ve announced a new model, the Rio, with these new changes. I have worn this model for almost 1yr. I also owned the previous model for more than a year. Although the Olympico show better quality in the leather work, I am not a fan of the new sole and flexible toe box. My personal taste is for a hard sole that extend past the midfoot, and I don’t care much for an uber flexible toe box (not needed in Olylifting). This current model achieved the flexible toe box by cutting back on the length of the wood sole. (Similar to the Inov8s) the goal was to allow an OLYshoe that could do some (not all) crossfit stuff. My feet miss the old sole. Nevertheless the construction quality is higher, and durability is excellent. Do you know of any lifting shoes with a higher effective heel height? I would love to get in one that’s around an inch. I was going to get the Risto Olympicos since your review said 0.88, and that’s the highest I’ve found so far, but now after reading some of these comments, it appears it is the common 0.75″? Would love any recommendations on higher.. Unfortunately most manufacturers have all gone to a standard 3/4″ heel. Your best bet will be to take a pair with a solid heel to a cobbler and have them increase the height for you. Hi Amanda – according to the Risto website quite a few shoes are listed as ‘made to order’ – you may want to try emailing Risto to see if you ordered a ‘made to order shoe’ if they would make the heel height what you want. Great review of the Risto Oly. Please Stop with the PC comments ” Socially and Environmentally Responsible Manner”WHAT DOES THAT MEAN !? (they even have health insurance!!!).W.T.F. Thank you. They aren’t “PC” comments, they are an insight into the company’s business practices. Some people do not care if a company’s product is made by child-labor in China, under terrible working conditions and pays less than a liveable wage… other people do and would rather spend their money with a company that still has ethical business practices. So, it isn’t an attempt to be politically correct at all – it is an important part of their company that should be known to anyone who is interested in purchasing their products. 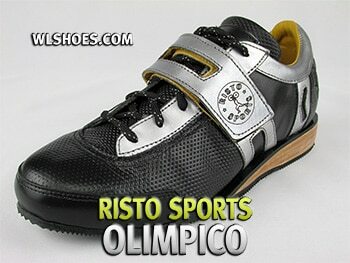 I would like to order a pair of Risto Olympico shoes? You’ll need to contact Risto to order, we only provide reviews. It has been a year since the last update to this review. Any additional comments or concerns I should be aware of before investing in these shoes? Unfortunately, I don’t have good things to report. I ordered a 7 in men’s as they don’t carry women’s based on the recommendation os someone at info@ristosports.com recommended. It was too small. Contacted them and was told too bad 15% restocking fee. OK, I thought I’d break them in. It’s been 3 months. I sort of broke them in, but one seam is already falling apart. And the main part is that the sole on one of the shoes is unglued already. ALREADY. It’s been only 3 months. So very disappointed and can’t really recommend. I’ve emailed before and called and haven’t had great response or at times any. Are these shoes only good on wooden platforms? So yes, sizing is weird. I have always had problems with shoe sizing. I am a size 9 in converse. What size should I get for these oly shoes? I don’t own Olympicos, but I recently bought a pair of Ristos, and feel compelled to warn people about this company any way I can. My Ristos, after four uses for some lightweight squats, started to come apart along one of the side seams. On emailing Risto, I get told that they offer a two-week warranty on shoes (seriously? ), which I was outside, having bought the shoes three weeks earlier. Ivan did offer to reimburse me for getting a local repair (fair enough), but my local cobbler couldn’t fix them, as it was a seam way down inside the shoe and it would have required complete reconstruction. Then, after a fierce but polite return email from me, Ivan offered to issue me a UPS label to send them back and have them fix them (which he claims would take “literally months”, as their shop is in Ecuador, but, eh…). However, nearly two weeks after that I’m getting radio silence. At the moment, I have a pair of $150 decorative doorstops. These guys do make very nice feeling shoes, but please, please do not endorse their abhorrent business practices.